Yakitori is a Japanese dish of bite-sized pieces of chicken that are skewered and roasted over a grill, typically a charcoal grill. Yakitori is commonly eaten as a snack with drinks, or as a whole meal, and is very popular in Japan given the rich and diverse flavor of the meat, and the casual dining style. Yakitori became popular in Japan during the mid 1900s. 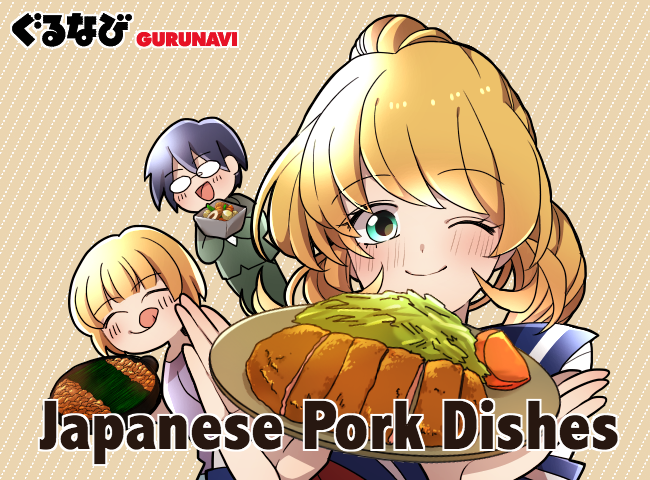 Prior to this, food eaten on sticks was already a common part of the Japanese diet, but other poultry, meats like pork and beef, and foods like tempura and oden were popular. Chicken was less common, due to the high price of chicken meat, and the original chicken yakitori was offal and other cheap off-cuts. Following the end of WWII a stable supply of chicken was established, and yakitori moved from being a delicacy to more of an everyday food. Shops selling yakitori became popular places for company workers to stop in and enjoy some food with drinks after work. Read on to discover more about eating yakitori in Japan. Yakitori is eaten at a variety of restaurants, in particular, specialty shops known as “yakitoriya” or “tori-ryoriya”, as well as izakaya restaurants, a type of Japanese gastropub. At designated yakitoriya, diners have the opportunity to savor the different flavors of each part of the chicken. 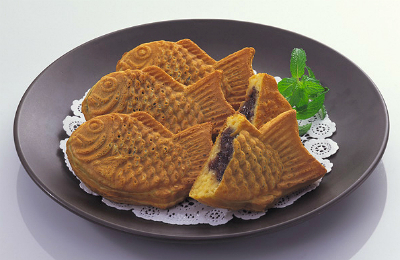 Momo (thigh), mune (breast), and kawa (skin) are available at almost any yakitoriya. More unusual parts may or may not be available according to the particular shop. At izakaya the diversity in cuts may be more limited. Some yakitoriya use jidori meat from chickens native to Japan, while others sell yakitori cooked with a high-quality type of charcoal called binchotan (white charcoal). Both izakaya and yakitoriya may also serve pork, beef and vegetables roasted on skewers. 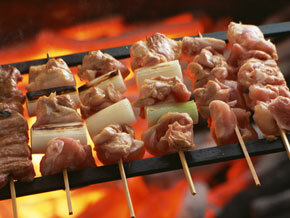 There are a variety of methods of preparing yakitori, such as over an electric or charcoal grill. Sumibiyaki (charcoal-grilled) is the most popular cooking method, which allows the tasty juices of the chicken to be retained for maximum taste, as well as creating an enticing smell. Yakitori roasted over high-quality binchotan is particularly sought after. 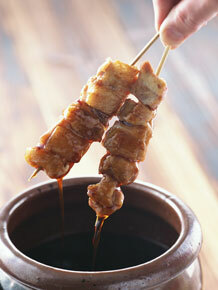 Yakitori can be ordered in plates containing enough for a specified number of people, or by individual skewers. A plate for a single person will have three to six skewers. Ordering a "yakitori moriawase" (mixed plate) will bring you various types of yakitori on one plate. When ordering yakitori individually you should specify the number and flavoring, such as, "Two momo with tare, one kawa with salt." Try tasting the same yakitori with salt or with tare to see the difference! When being cooked, yakitori may be basted with a sweet soy-sauce based mixture called tare, or simply sprinkled with salt. When ordering yakitori you must specify whether you want tare or salt for the flavoring. Some restaurants will offer their recommendation for certain cuts of meat. There are a range of unique Japanese condiments used for yakitori. Some are usually available on the tables at yakitori restaurants, such as shichimi togarashi and sansho pepper, whereas the other condiments are specified when ordering. There are no set rules about what condiment goes with what cut, it is up to personal preference. Shichimi Togarashi: A powdered mix of seven Japanese spices, including chili, mustard and sansho pepper. Sansho pepper: A pungent spice ground from sansho peppercorns. Wasabi: Japanese horseradish grated to make a picante condiment. Yuzukosho: A paste made from Japanese yuzu citrus, salt, and chili. Umeboshi paste: An extremely sour paste made from salt-pickled ume (Japanese plums). Momo (thigh): Juicy and flavorsome meat from the thigh. Mune (breast): Meat from the breast with a clean, straightforward taste. Seseri: Meat from the neck. Springy and flavorsome from the constant movement of the neck. Also called "kirin" or even "nekku". Sasami: Meat from the inner breast, which is low in fat and high in protein. Can be enjoyed on its own, but the plain taste lends itself well to cooking with shiso, umeboshi, miso or mentaiko (fish roe). Salt is the preferred flavoring. 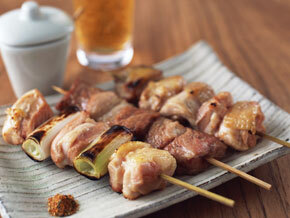 Negima: Momo meat and negi (spring onions) placed in sequence on a skewer and roasted. Tsukune: Minced chicken meatballs roasted on a skewer. Each shop adds its own flavor to the chicken mince mixture, such as spring onions, shiso leaf, and other herbs and vegetables. Some shops shape tsukune into blocks rather than balls, and some may serve tsukune with quail egg yolk. Tamahimo: Also called "kinkan”, these are chicken eggs taken prior to entering the Fallopian tube. Tamahimo are rare item not often found in yakitoriya. Kimo: Chicken liver, with a distinct full flavor and softness that tastes better the fresher it is. Sometimes also called "reba". 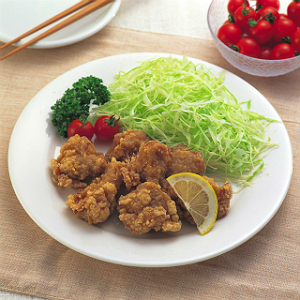 Sunagimo: Chicken gizzards. These have an earthy, slightly grainy taste. Bonjiri: A juicy and succulent cut of meat from the buttocks, which is high in fat and muscle content. Also referred to as "tee-ru” (tail). Hiza no Nankotsu: Cartilage from the knees of the chicken. This cut has a crunchy mouthfeel. Kawa: Chicken skin. High in fat, kawa has a crispy and soft texture, and rich flavor. Tosaka: Also called "kanmuri” (crown), this is the comb of the chicken. Tosaka is rare item not often found in yakitoriya. Hatsu: Chicken hearts, also called "kokoro". These are a precious item, as only one can be taken from each chicken. These have a unique springiness. Other poultry aside from chicken, as well as meats and vegetables can be skewered and grilled, and is also often referred to as “yakitori”. 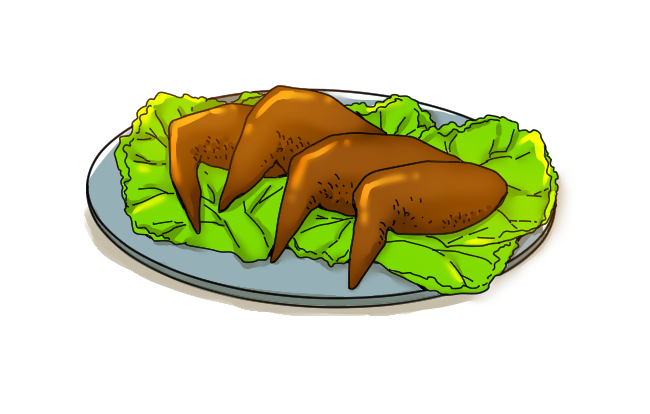 Suzume: Roasted sparrow on skewers. Uzura no Tamago: Several quail eggs are skewered and cooked. Tomato-Maki: Cherry tomatoes wrapped in bacon or pork rib meat, skewered and roasted. Butabara: Pork rib meat. Juicy, with a high fat content. Kashira: Meat from pig cheeks and temples, soft in texture. Ushisagari: Soft and juicy meat from the midriff of cows. Also called "harami". 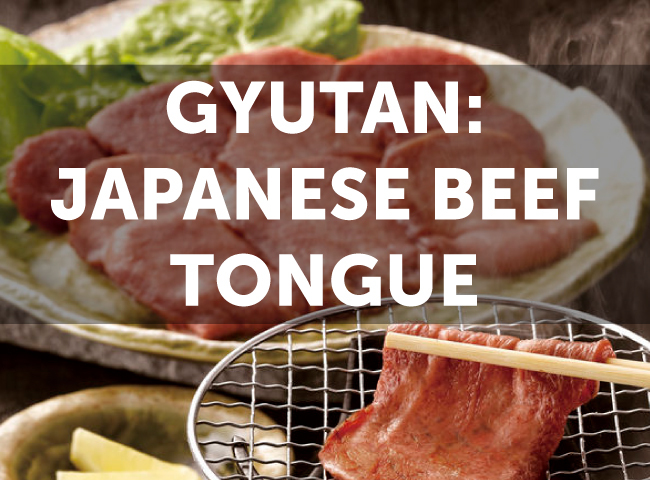 Gyutan: Ox tongues. A rich, straightforward flavor. Asupara-Bacon: Asparagus wrapped in bacon, skewered and roasted. 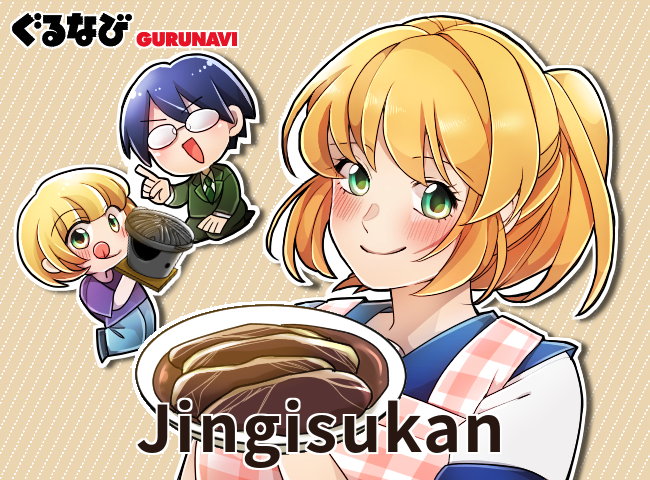 Grilled Chicken Skewers Are an Unmissable Food Experience in Japan! Eating yakitori in Japan is an insight into daily food culture and the history of Japanese cuisine, as well as being cheap and tasty! If eating the offal and off-cuts isn’t your thing, there are plenty of options available for you, whether eating specialty yakitori shop or at an izakaya. Try experimenting with different preparation techniques and condiments to find your favorite! 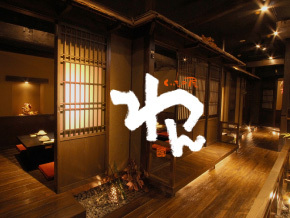 Browse Gurunavi’s yakitori restaurant listings in Japan.